a shakespeare, an oscar, new york is full of surprises! i believe that every city that i visit in this year long tour will have treasures of incomparable worth. for instance yesterday i saw what’s called a first folio. it is one of the earliest complete sets of shakespeare’s works. it is housed at the j. pierpont morgan museum, which is basically the former home of the donald trump of his time. he liked to collect books, although with as many as i saw, i highly doubt he read every one of them. 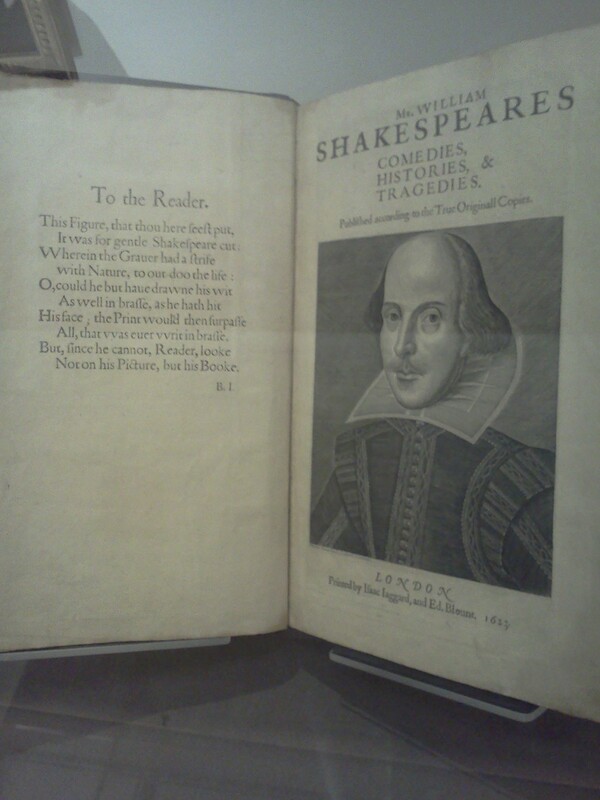 and he had this first folio. which is probably worth about seven million dollars. i reminded the staff that one should never display works of this antiquity (1601, so that makes it four hundred and ten years old give or take a few months) on an angle. doing so causes the paper to ever so slowly pull away from the binding. the staff said if it was such a problem for me, i could take the damn thing home with me. i said i’d have to check it in my baggage and i would prefer them to mail it to me. besides, i couldn’t lug it across town for the oscars presentation. 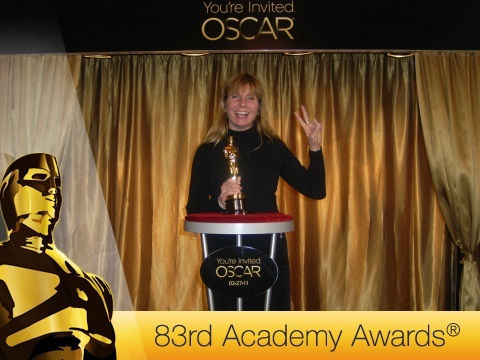 yes, yes, most oscars were handed out in los angeles. but in grand central station in new york, a very special one was reserved for me. i thanked the academy, of course, but i reserved my special thanks for my facebook friends. a real new yorker is somebody who knows stuff that’s not in the guidebooks. like the fact that the granite lions outside the public library are called patience and fortitude. (something i could use this year) like the fact that there’s a spot in grand central station where you can stand forty five feet from each other and through a quirk in acoustics, you can hear each other’s whisper. like the fact that the algonquin hotel is where all the greatest writers of the first part of the twentieth century dined. f2fb friend #58 john r. douglas is a real new yorker. he works for richard curtis and he had a lot to talk about with me. it was the first time we had met in person. we spent a delightful four hours touring the city. he had a lot to say about america and how it is corrupt and occasionally a mess. but he can say that, in part because he’s canadian. today, i leave new york and head for princeton new jersey where i will meet two facebook friends, one of them alive and one of them very very dead. i wonder how the meeting with the dead friend will work out? tomorrow i will wake up on the 60th day of the year i will know i have met with 60 facebook friends. which is good because there’s three hundred and thirty five. if there’s three hundred and thirty six, that means i have some time left over to meet brazilians, japanese, and a host of other friends i never expected to have! This entry was posted on Monday, February 28th, 2011 at 2:06 pm	and tagged with facebook, friendship, new york, oscar, shakespeare and posted in Uncategorized. You can follow any responses to this entry through the RSS 2.0 feed. « yes, i won an oscar, it’s true!